Upgrade your home to a modern one with time-saving and contemporary essentials. Products that not only will enhance the charm of your household but will also save your precious time when you are on a go! 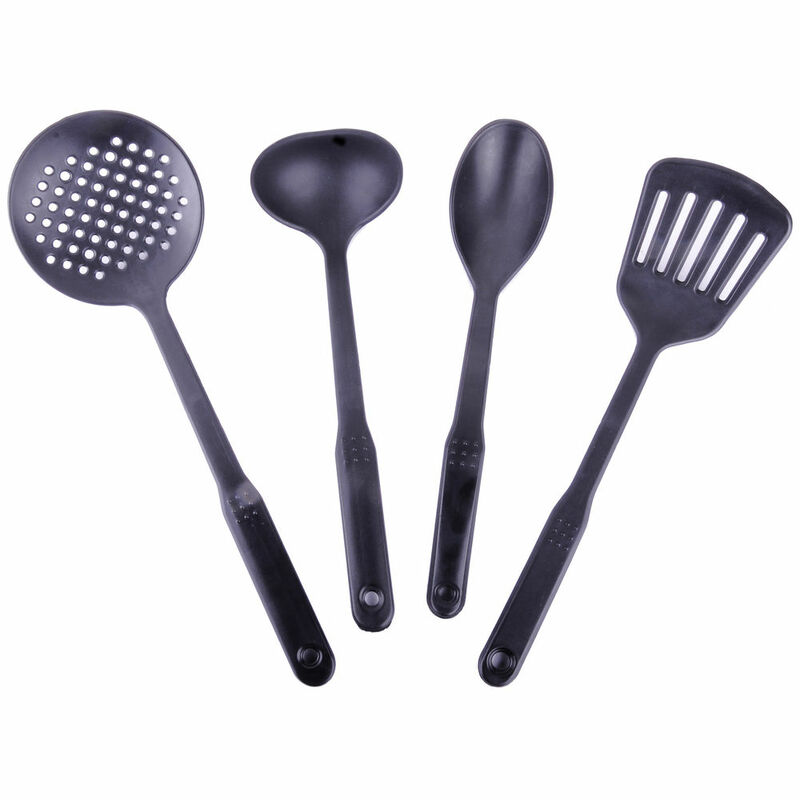 These saptula are nylon material, Cook-n-Serve set of 4 pcs useful kitchen tools, heat resistant, Very ergonomically designed handles makes it a pleasurable experience, elps you to turn and take out the cooked goods properly, without worrying of dropping them. Defects Warranty for the manufacturing Defects only. Customer Needs to Call the Authorized Service Center Number Raise a Complaint for Service to Action on Issue. No other Damages will be covered apart from Manufacturing.